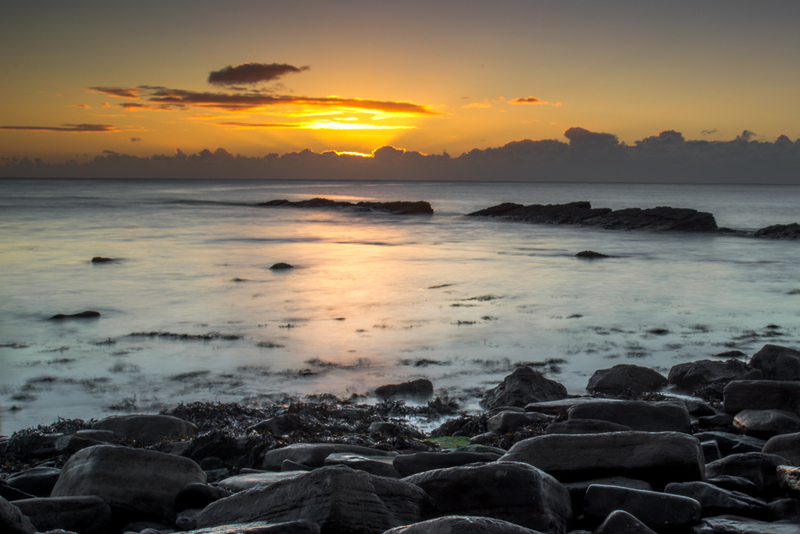 Sunrise Peveril Point Swanage Sunday 26th November – Early morning alarm call for a sunrise down at Peveril Point. The good thing about late November is the alarm call is not so early the only draw back is the temperature has dropped so :- Hat, Scarf, Gloves and several layers of coats and Jumpers. The sea was calm from slow moving waters of a neap tide on the ebb and next to no breeze over the Ledges so a longer exposure was used to just make the water a little smoother. The band of cloud across the horizon reflected the suns rays upwards to give a strong display of colours starting with pinks followed by the warm golden colours that chased away the early morning chill down at Peveril Ledge.